Visit Kovalam - breathtakingly beautiful - a haven of peace and tranquillity. Kerala, with a long shoreline of serene beaches, tranquil stretches of emerald backwaters, lush hill stations and exotic wildlife, waterfalls, sprawling plantations, paddy fields, Ayurvedic holidays, magical festivals, historic monuments, exotic cuisine. all combined; offer the traveler a unique experience. 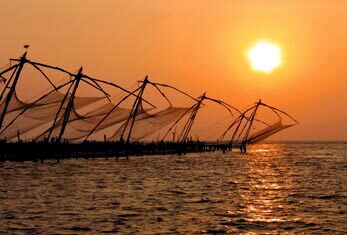 Kerala is also popularly known as 'Gods Own Country' and is considered to be one of India's most beautiful states. The lush greenery is an amazing sight and a treat for the eyes. Explore scenic surroundings of KanyakumariAny transport to Kochi / from Trivandrum . 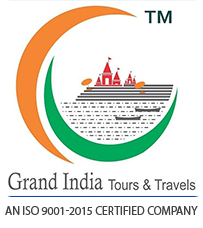 Your tour price starts Ex Kochi. Welcome to Kochi, the most charming city of Kerala. On arrival at the airport in Kochi / railway station in Ernakulam , begin your 'Kerala Kaleidoscope'tour. 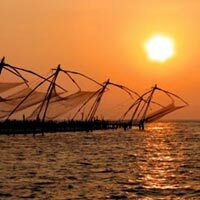 You will drive through the picturesque countryside to Alleppey. On arrival, check into the hotel. The rest of the day is at leisure to enjoy the facilities of the hotel. This morning, drive to your resort in Kumarakom. The rest of the day is at leisure. Explore local markets on your own, for various spices such as cardamom, pepper, kokam, nutmeg, clove, cinnamon, coffee, cassia, tamarind and so on. Shop for Handicrafts made of natural fibre, metal and woodcraft products such as wall mirrors with antique finish, multi-colored screw pine boxes, baskets, bags in various sizes. Whitewood icons and artifacts are other favorite items found in Kerala. This morning, drive to Kovalam where on arrival, you will check into your hotel. The meaning of Kovalam is 'a groove of coconut trees'. The Samudra Beach, Kovalam Beach and Hawa Beach gives Kovalam its serenity and scenic beauty. After breakfast, proceed for an excursion to Kanyakumari. Kanyakumari lies in southernmost tip of India where the Arabian Sea, the Indian Ocean and the Bay of Bengal meet. Visit Vivekananda Rock Memorial. En route visit the Suchindram temple, which is dedicated to a deity representing the combined forces of Siva, Vishnu and Brahma. Today, bid farewell to your 'Kerala Kaleidoscope' tour as you are transferred to the airport or railway station in Trivandrum for your onward journey. Any transport to Kochi / from Trivandrum . Your tour price starts Ex Kochi.